When the pressure is on and customers are waiting, you need to perform faster without compromising accuracy and precision. 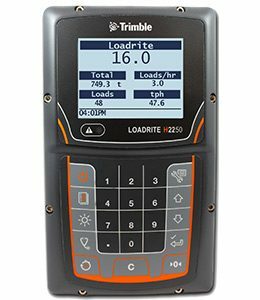 Trimble LOADRITE help load with greater precision and speed. Range of options include entry-level through advanced SmartScale options. The Trimble H2250 provides near real-time reporting of haul truck production and process monitoring, driving increased production and limiting costs. automates haul truck productivity data, saving time and frustration caused by tabulating load sheets, and replacing them with accurate production figures presented in clear graphical electronic reports. 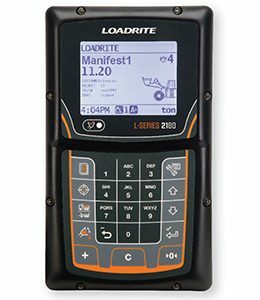 Trimble® LOADRITE™ Sprint and S1100 provide basic weighing for compact machines, tractors and forklifts. By accurately weighing scales help load safely and accurately in operations that don’t need data management capabilities. Ensure compliance to SOLAS regulations, track and improve container handling with accurate weight information. 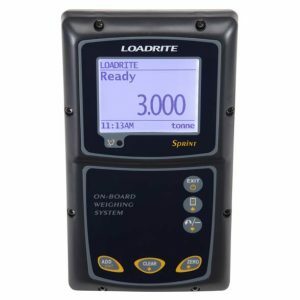 The Trimble® LOADRITE™ reachstacker scales verify the weights of every container moved, so you can provide accurate information for logistics compliance and reporting. The weight information can also be used to analyze your operation for efficiency improvement and maintenance cost reduction. 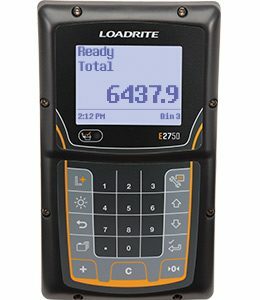 Trimble LOADRITE weighing systems offers accurate and reliable weighing of every bin emptied with a front, rear or skip loading refuse trucks. Automatically measure the net weight of the bin as it is emptied and print the total, upload to the on-board computer or send to the office.